The match took less than 21 minutes. When undefeated G2 Esports loaded up to face Fnatic in week four of the League of Legends European Championship today, many expected Fnatic to lose—but not in record time. It only took G2 Esports 20-and-a-half minutes to put up 15 kills, develop a 14,000 gold lead, and defeat Fnatic in the fastest game ever completed in the LEC. Some expected the outcome of the game to hinge on the bot lane matchup—Luka “Perkz” Perković vs. Martin “Rekkles” Larsson. 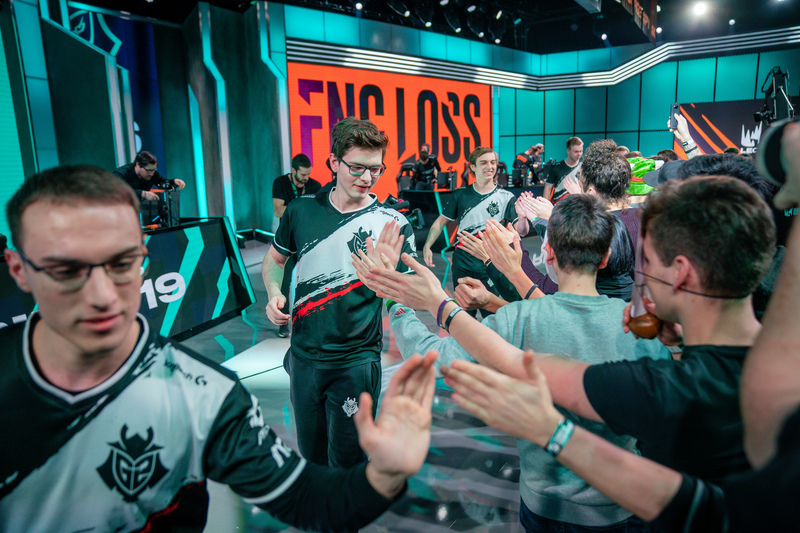 While Perkz managed to pick up a pair of kills and only one death, G2 Esports’ dominance spread primarily across the jungle and in the mid lane. G2 Esports’ jungler Marcin “Jankos” Jankowski put together a perfect game, picking up six kills and no deaths on Olaf in the historic victory over Fnatic. Based on his performance, he was voted the most valuable player of the game. Rasmus “Caps” Winther, G2 Esports’ mid laner, put up a similarly-remarkable performance. Playing as Zoe, Caps only died once while managing to collect five kills. Fnatic’s new mid laner, Tim “Nemesis” Lipovšek, struggled against Caps, too. Nemesis ended the game with three deaths, no kills, and 33 CS behind Caps. For Fnatic, the only player who managed to pick up kills against G2 Esports was the jungler Mads “Broxah” Brock-Pedersen, who finished the game with four eliminations. Even though Fnatic managed to pick up a win yesterday against Excel Esports, it seems like the team’s woes aren’t over yet. After losing to G2 Esports, they’re now second-to-last in the standings with a 2-6 record. Next week, Fnatic will have an opportunity to bounce back against Splyce and SK Gaming.